who want their world back!! Corrupt People, Corrupt Government/Agencies. CORRUPT!! Third, Anonymous is Censored, and made out to be terrorists, wrongly. It is far past time for change, upheaval, uprising. 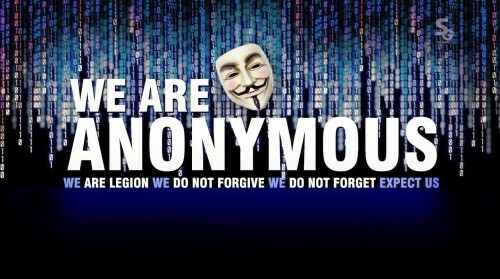 “Take back what is yours, or lose it forever”…..Anonymous. note: Even this letter below is CENSORED by Google. Yes Google! Google is now the Hand of the true terrorists – your Government!! Use an Anonymous suggested VPN and TOR, only, to check this. Then, copy and paste part of this letter into google, and search. Not there in the usa, canada, UK, Australia, NZ, etc. Not There! Why? Other paragraphs on other pages on this website work. So why not this letter below??? Everything, Always CENSORED by Google. WOW! Hahahahaha!!!! ISIS looooooses again!!!! HAHAHAHAAHAHA!!! Top Secret Cables sent to Anonymous. We have hacked e-mail correspondence of US Army Attache Assistant in Kiev Jason Gresh and a high ranking official from Ukrainian General Staff Igor Protsyk.! In his turn, Protsyk writes to some “Vasil” and tells him to arrange an attack on an airbase of 25 aviation brigade of Ukrainian air force stationed in Melitopol. This “Vasil” is responsible for arranging the details of the attack, gathering of the gunmen and providing them with a map of sites that are chosen to be attacked. We strongly recommend everyone to look through these documents. There you will find all the details. This “Plan” seems to have been aborted, by the US and Neo-Nazi perps.